Mugabe’s remarks came at a time when his critics accused him and his family of owning multiple farms. 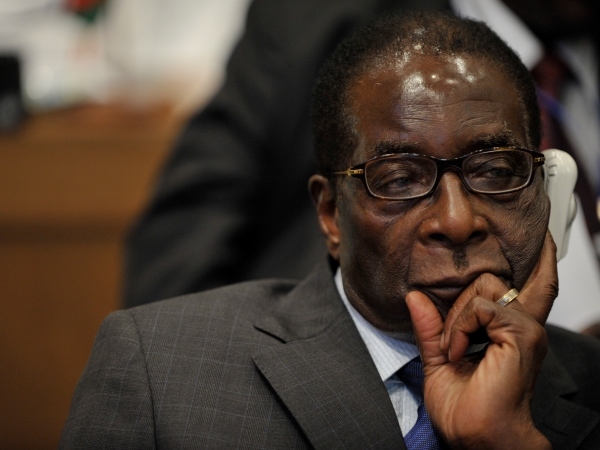 Zimbabwean President Robert Mugabe (93) has threatened to embark on fresh land grabs targeting the few white commercial farmers still remaining in the country. Addressing thousands of his ruling Zanu-PF party supporters in the farming town of Marondera on Friday, about 80km east of the capital Harare, the nonagenarian said white commercial agronomists who still remained on the farms should be removed from their properties because most Zimbabweans were in need of land. “We told (former British premier) Tony Blair to keep his England and we keep our Zimbabwe because land is our heritage. We have discovered that in Mashonaland East province alone where Ray Kaukonde was the resident minister, there are 73 white commercial farmers who are still occupying some farms when our people do not have land,” said Mugabe speaking in the local Shona language. Kaukonde was kicked out of Zanu-PF in 2014 on allegations of siding with former vice president Joice Mujuru who now leads the opposition National People’s Party. Mujuru was the first to be shown the exit door for allegedly plotting to assassinate Mugabe in her quest to take over power from Mugabe. For her part, Mujuru is on record saying former white commercial farmers should be compensated if she becomes president. Said Mugabe: “We are going to take those farms and re-distribute them to our youths, some of whom did not benefit from the land reform programme but the land would not be enough for everybody. We are also going to take away the land from small scale purchase farmers who are not utilising those farms for re-distribution. The combative Mugabe also warned top officials in his administration that they would lose some of the farms parceled out to them during the government-sponsored land reforms. “Many of you (senior officials) have multiple farms that you are under-utilising. We are doing an audit of those farms and we are going to give them to people who have no land who can utilise those farms,” said Mugabe. Most of the grabbed properties have become derelict because the new farmers either do not have adequate resources to utilise or they lack the experience. Although the veteran leader has not publicly declared his wealth, the opposition recently accused him of being a multiple farm owner in sharp contrast to his one-man-one-farm policy. Mugabe also cautioned newly re-settled black Zimbabweans who were allegedly accommodating former white commercial farmers who lost their properties during the land reforms and were now entering into farming contracts with the displaced white farmers that they risked losing their land to government. Thousands of white commercial farmers and their employees were displaced and left without sources of income during the fast-tracked agrarian reforms that that were masterminded by Mugabe's administration in 2000.